Seawater consists of a solution of inorganic salts, atmospheric gases, traces of organic matter, and small amounts of particulate material. 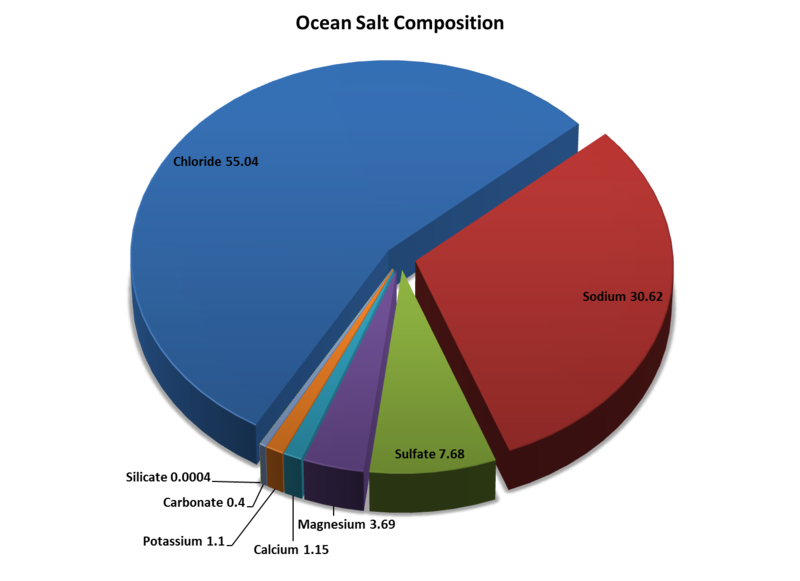 Salinity is defined as the weight in grams of dissolved salt in 1 kg of seawater. Historically salinity was expressed in parts per thousand. 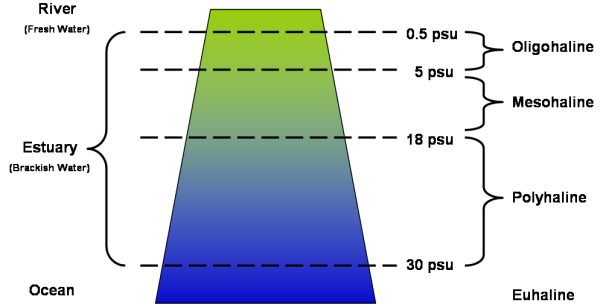 In 1978, oceanographers redefined salinity in Practical Salinity Units (psu): the conductivity ratio of a seawater sample to a standard Potassium Chloride solution. Salinity is now considered to be unitless. The average ocean salinity is 35. Estuaries have a salinity range of 0.5 to 30.